MAKESHOP has received significant national attention from the museum and education field since its launch in 2011. In May 2014, the Institute of Museum and Library Services announced an initiative with Children’s Museum of Pittsburgh to build the capacity of libraries and museums to develop effective makerspaces and programs by providing a suite of tools and resources, hands-on professional development experiences and a community of practice. Partners include the North Carolina State University Library, Exploratorium, Chicago Public Library and the Maker Education Initiative. Learn more at makingandlearning.org. Children’s Museum’s Director of Learning and Research Dr. Lisa Brahms and Jane Werner contributed a chapter on MAKESHOP to Design, Make, Play: Growing the Next Generation of STEM Innovators by Margaret Honey and David Kanter. Children’s Museum Executive Director Jane Werner and other staff have presented on MAKESHOP programs and the future of informal education at the White House and many conferences including Sandbox Summit, Association of Children’s Museums Interactivity, Association of Science and Technology Centers, Games + Learning + Society, SXSW.edu, the Digital Media and Learning Conference, and the American Alliance of Museums Annual Meeting and Expo. 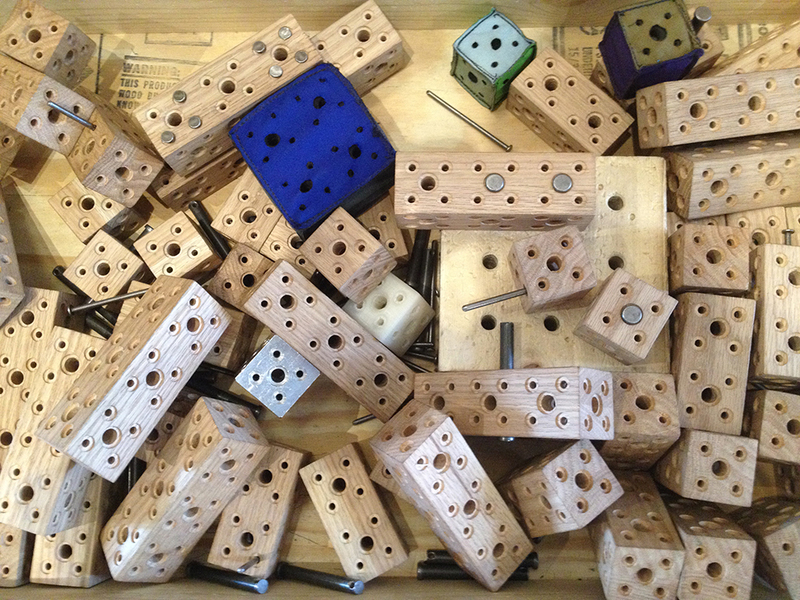 In Fall 2012, the Museum received a National Leadership Grant from the Institute of Museum and Library Services to study family learning in MAKESHOP. Also in Fall 2012, the Museum partnered with learning scientists from the University of Wisconsin, Madison, and George Mason University to investigate makerspaces as designed learning environments on a National Science Foundation learning grant. 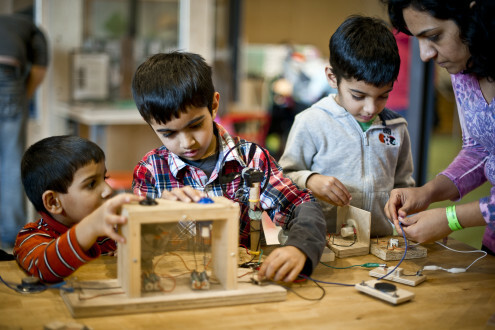 MAKESHOP and maker spaces were cited as one of the 2012 Trends to Watch by the American Alliance of Museums.